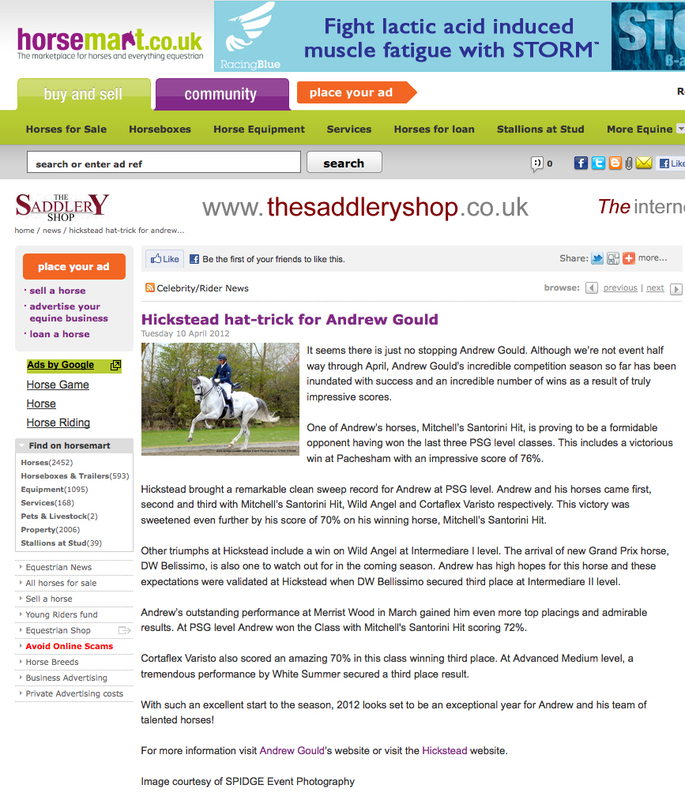 We are pleased to announance that Andrew is currently lying fifth in the British Dressage Rider Rankings for Small Tour. 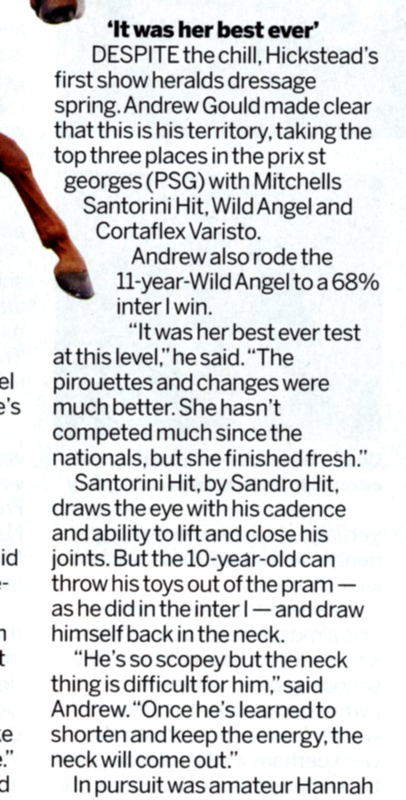 Due to Andrew's fantastic results on both Wild Angel and Mitchell's Santorini Hit throughout this season he has scored 221 points so far. 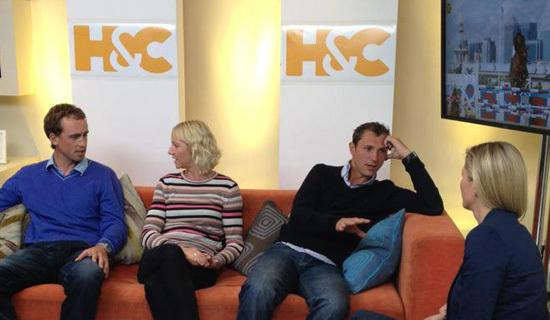 Andrew will be continuing to compete the two horses, so Andrew hopes that he will be able to collect more points! 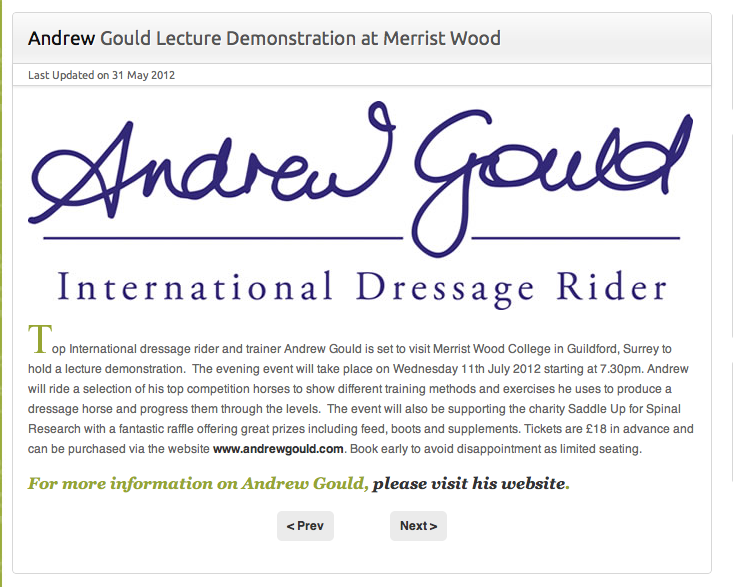 To see the full list of rider rankings you can followint thi slink to the British Dressage website. 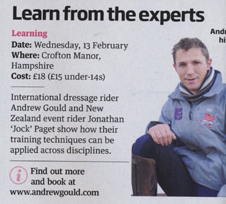 Andrew has just enjoyed a fantastically successful weekend at the College with the two wonderful Spanish stallions that he trains and competes. Andrew was competing in his first PRE Show and rode Jocoso to the top Champion Stallion spot and Habanero into Reserve Champion Stallion! 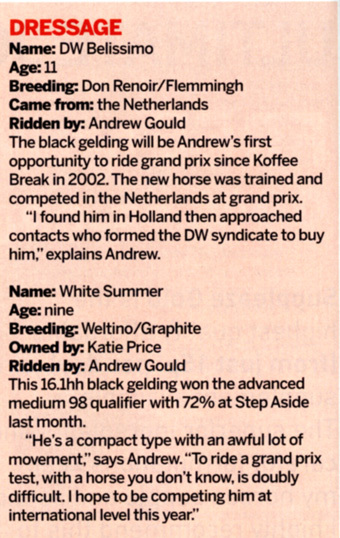 An incredible result for the two stallions both owned by Naomi Vance-Webb. 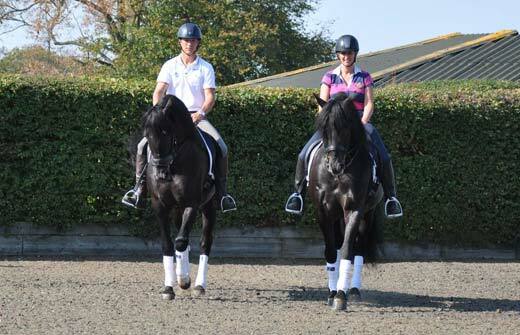 Josoco LVIII performed beautifully to pip his stable mate to the top spot of Champion Stallion, he is a stunning black stallion, whose breed lines include a team silver medalist in the Athens Olympics and a Dam Champion of Spain in 1993. Habanero XLI who finished with the Reserve CHampion Stallion rosette and also gave a stunning performance is a PRE/Andalcian (graded Calificado) by Desnudo x Salerosa XI. 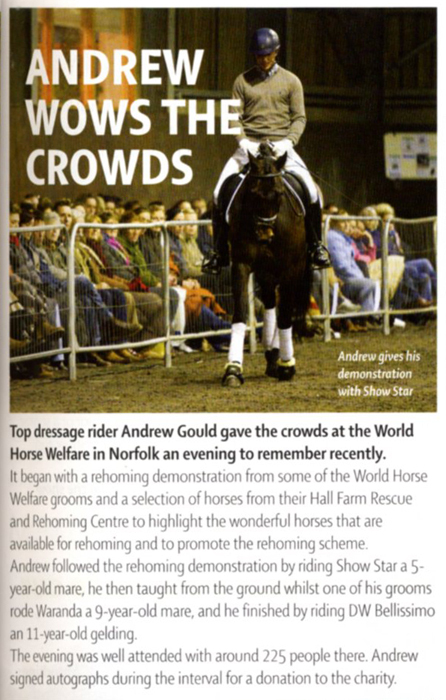 Andrew is thrilled with his first outing to a PRE show and looks forward to continuing the two stallions training and hopefully taking the stallions to Spain to compete in the future. 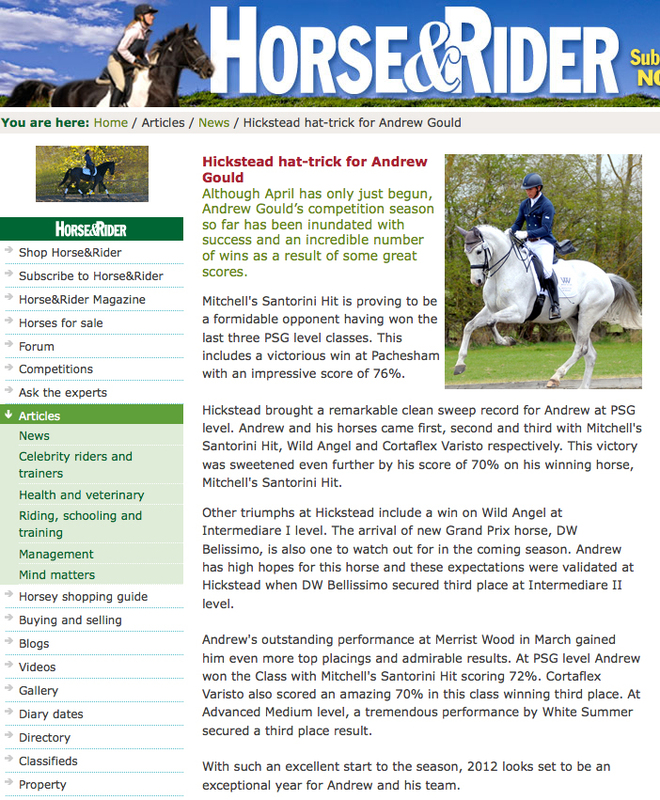 I hope you like these pictures of Andrew and Polly riding the two stallions at home following their success. 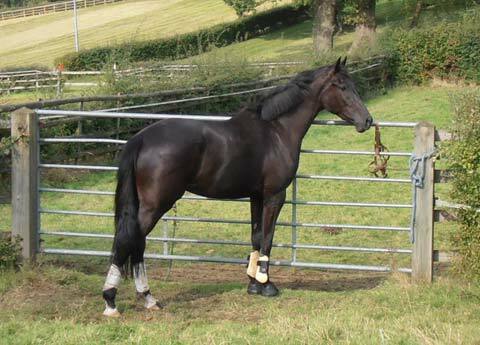 Andrew is thrilled to announce the arrive of new horse Dali. 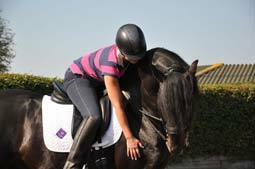 Andrew has purchased the 3 year old, which he considers a very exciting prospect, by long time owner Sara Green. He arrived from Holland just a couple of weeks ago and is a gorgeous large black gelding, by KWPN by Westpoint x Goodtimes. 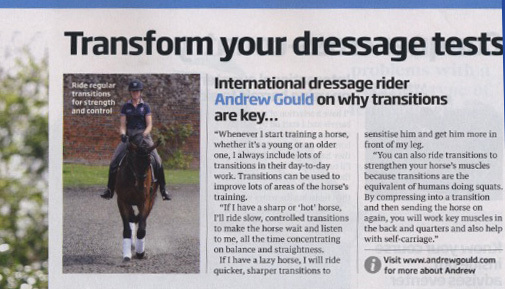 Andrew will be campaigning Dali in next year’s 4 year old classes and said: "I can't wait to get his training underway and get him out on the dressage circuit, my only concern is how big he will get. I swear he seems to grow bigger everyday!" Here is a picture of Dali enjoying the sun in the field.